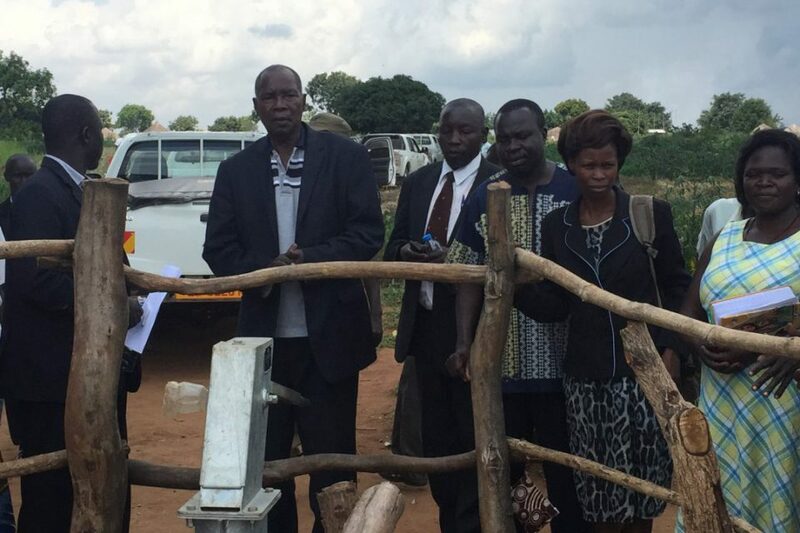 NEBBI – The Chairman Local Council V of Nebbi District Mr Esrom William Alenyo is dead. Alenyo, a former journalist died on Tuesday, September 25 at Mulago Hospital according to his son George William Alenyo. Mr. Alenyo sustained injuries in an accident that occurred on September 21, at Pakwach Wadlai Road and was hospitalised at Mulago from where he succumbed yesterday morning. West Nile Police spokesperson, Josephine Angucia said the September 21 accident was due to reckless driving and the vehicle in which the district boss was travelling overturned after hitting a pavement. Veteran journalist and friend to Alenyo, David Livingstone Okumu, currently corresponding for BlackStar News based in New York, United States described the deceased as a “No nonsense man who was very mature, committed, diligent and very intelligent”. Okumu, who was mentored by Alenyo at Radio Uganda from 1991 to1995, said his friend who was famously known as Alenyo O.O was a good man, down to earth and detested tribalism. A staunch Uganda People’s Congress (UPC) supporter, Alenyo will be missed as a strong political mentor. Alenyo was at Radio Uganda from the 60s to 2001 and served as head of northern Uganda programmes, which according to Okumu helped him tie knots of peace between the Langi, Acholi and Jonam communities in the post-Amin era. There will be a requiem mass tomorrow at 2:00 PM at Bugolobi Church of Uganda in Kampala and the body will be transported to Nebbi district where another prayer will take place at Nebbi Afere church of Uganda at 2:00 P.M. on Friday. He will be late to rest on Saturday, September 29, in Pokwero village in Pakwach district.